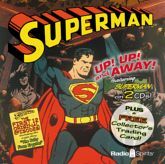 RadioSpirits.com - SUPERMAN: UP! UP! AND AWAY! Includes a FREE Collector's Trading Card!